Most of the blog posts are published with great expectations. A considerable amount of time is spent in preparing a topic of relevance for the readers and wait with great expectations once it is published online. Even after optimizing them for the search and social media, most of them find themselves in the midst of a dilemma as the popularity of the blog post traffic would be seen declining with respect to time. However, there are a few ways in which the long-term traffic for the content could be maintained. 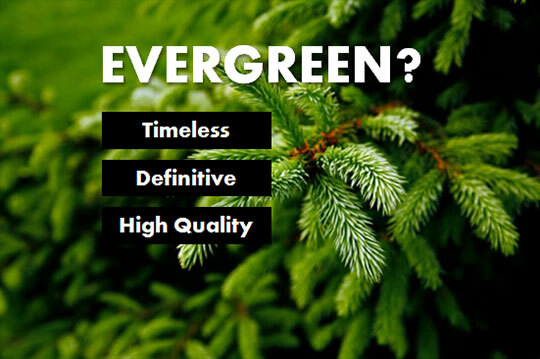 Evergreen content is a content for which the popularity never fades as those topics are bound to withstand the test of times. These would be general topics that would be something that is about to happen next ten years from now on and could be easily updated so as to stay relevant. For identifying the topics that are considered to be evergreen, all you have to do is to take a close look at the blog posts that have been published in the past and is continuing to attract the traffic even today also. This is a clear sign that the topic is still relevant with the present scenario. Make use of tools such as Google Analytics to find out which of the topics that have not been published recently is still generating traffic from the readers. Such posts are evergreen posts and it is desirable for you to take ideas from such posts and create new topics that are likely going to be relevant in the years to come. Ensure that you embed call to actions within the content that would help turn the website visitors into conversions if possible. For those who do not yet have an evergreen content to boast of, kindly make use of Google Trends which would list the keywords or phrases that are continuing to receive the most number of searches. The keywords do play an important role in evergreen content as it paves the way for organic search especially if you are not actively promoting the content. Therefore, ensure the keywords and phrases are optimized for better search among the website visitors. Even though organic search results will give you the needed start for the evergreen content, it is desirable to take steps in promoting the evergreen content. Make use of tools such as BuzzSumo wherein you will have to enter the primary keyword or phrase to understand the social popularity of the content based on a particular topic. From the top list of content being displayed, determine the topics that would be of inspiration for you to create more such interesting and engaging topics. In addition to this, tools such as SEMrush provides a deeper insight into the links that are displayed in the top search results for a specific primary keyword or phrase. Try becoming a pro member of SEMrush and get backlinks to your blog website. Another way would be to become a member of Quora and search with the keywords or phrases to understand the people who are asking questions about the relevant topics. Including some mixed media strategies would help in enriching the content along with optimizing it for sharing with others. Tools such as Canva helps create images that reader could make use of for sharing the blog post on their favorite social networking websites. Furthermore, make use of HARO or Google Forms for getting some interesting quotes by industry experts or influencers that are related to your topic. And what more! CoSchedule’s Click to Tweet helps you to create beautiful tweet boxes using which readers could tweet their quotes easily. Each of the content pieces can be enhanced for optimal sharing using tools such as Ivy by Filament that allows readers to highlight a piece of content that could be further shared via popular social networking websites such as Facebook, Twitter, and Email. Friends or people whom you know in person including those who admires you or share similar perspectives about the topics included within the blog posts can also help ensure that your content goes the distance. It also is as relevant as the promoting of your content through social media, search as well as Q & A marketing. It can be friends or influencers or your relatives who could promote your content through the outreach strategy. Make use of tools such as BuzzSumo and ContentMarketer.io to identify the best recipients who could help you with the outreach of your content. Headlines are more important in attracting a content and it is desirable to come up with at least 25 headlines for the content out of which you will be easily able to come up with a few of the headlines that are going to be very impressive. The final few headlines would undergo A/B Test for email as well as social media updates before identifying the one that is attracting more traffic towards the blog post. However for those who find it difficult to come up with interesting content, try using HubSpot’s Blog Topic Generator which would provide you with at least five headlines for beginning with, based on the keyword or phrase. But if you are ready to sign up, you will be getting hundreds of headlines based on the keyword or phrase. Once done, your next objective should be to make the headline in a question format instead of a statement format. Thus, it can be optimized for promoting the social networking websites. Timing is important when it comes to publishing the content and it is desirable to understand the best timings when you are likely to get the best business results through publishing and promotion of your content. Make use of Google Analytics to identify the best timings and the best days for publishing the blog post content. 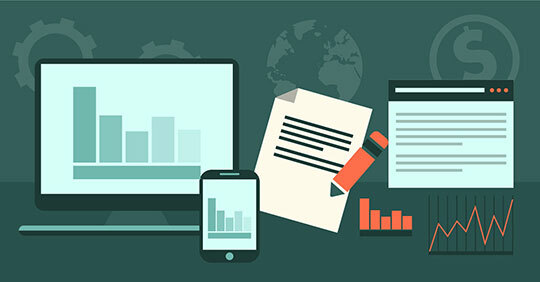 It is desirable to set up a custom report for identifying the best timings for publishing and promotion especially if you are making use of Google Analytics. 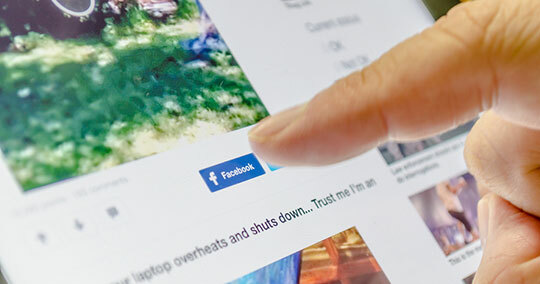 The Facebook Page Insights is the best tool for users to understand the best time for sharing the posts in Facebook whenever fans come online. For utilizing the best from Twitter, tools such as Audiense (formerly SocialBro) indicates whenever the followers are online and the time when you are likely to receive the most tweets for the day. For getting the most click-through rates and open rates in an email, it is better to get the email analytics that will help you to know the best days as well as times to send the emails to the subscribers. By making use of the above-mentioned analytics as mentioned on Facebook, Twitter and Emails, you would be able to come to a conclusion regarding the best time for publishing and promoting the blog post content among the website visitors. Now that the research portion is over as you are done with it by means of following the above-mentioned steps, the next step would be to effectively plan the publishing as well as the promotion of your content. Make use of tools such as Trello or create a simple checklist for organizing all the steps being planned before making the blog post to go live. The specific time frame and the deadlines have to be taken note of in each stage of the promotion and ensure the people who matter the most such as social media manager and email manager are also included during the planning process. The most important day for your blog post would be the day on which it going to be published. The day is relevant as the first social media updates about the blog content would be published along with emails being sent to the subscriber list. You will have to interact with the readers and audiences for a few days once the blog post has been published. You will have to thank the readers in social media who shared the content and ensure that timely response in the form of replies should be provided for the comments being posted by the readers within the blog as well as social networks. Furthermore, timely response to the emails that has been received from the subscribers and influencers should also be performed without any delays. This will leave a good impression among readers about the dedication you have with your readers who have spent their valuable time reading your blog content. Also, make it a point that you follow the influencers that have not yet responded to the outreach attempt you tried as an email. 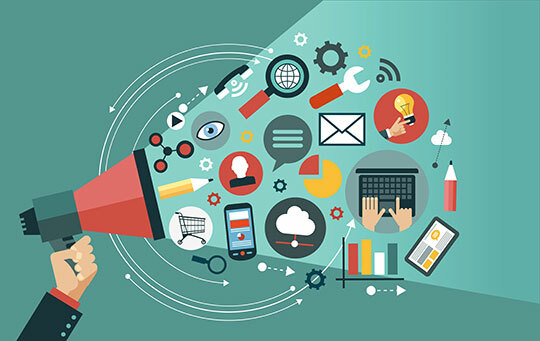 It is inevitable for you to rely on social advertising by means of promoting your blog content on Facebook, Twitter, and Linkedin for reaching out to the right audiences so that they help enhance the traffic towards your blog post and share the posts with other friends or colleagues whom they know. This becomes a necessity whenever you find that the traffic is not being generated through search results in the start as per your expectations. The more you engage with the audiences online, the more likely they will interact with you as well and thus help in the effective promotion of your blog post. It is desirable to interact effectively with the audiences in Q & A networks, forums as well as communities. Try to find out the questions in these forums and Q & A networks which you could answer with the blog content. However identifying the forums and Q & A networks would depend on the industry based on which the blog content has been written. Some of the popular websites include Quora, Growth Hacker, BizSugar, Inbound.org, and Reddit etc. The community promotion could be also expanded through social networking websites such as Facebook, Linkedin, and Google+. You can easily find the right questions for answering by clicking on the search functionality within each of these websites and then typing in the blog topic related keywords or phrases which would display the questions for which you would be able to answer with the blog content. Thus, you can make use of the searches for promoting your content in the best possible way. However it is desirable to go through the group rules in forum websites or Q & A answers since some of the websites does not allow the sharing of blog content links under any circumstances even though the answer you give is correct for the question. After you are done with the initial promotion, the next objective would be to go ahead with the implementation process that includes Re-purpose, Re-share, and Re-introduce. These three steps in the implementation process ensure that the blog attracts traffic for a long-term rather than getting increased popularity in the beginning and then slowly witnessing a decline in the traffic towards the blog website in future. This might include uploading content in SlideShare which would be comprised of the key points of the blog content and furthermore these slides could be converted into a slideshow that could be uploaded on YouTube. Similarly, LinkedIn Publisher can be used for summarizing the key points and publishing the same within the LinkedIn Profile. Even the blog content could be talked and could be uploaded as a podcast. Thus, there are endless possibilities for you to keep your content attract increasing number of traffic for a long-term without any decline in the popularity. By means of re-purposing, re-sharing and re-introducing, you will be able to offer a new exposure for the blog content on a wide variety of different networks. Thus, all the above mentioned 10 tips will help your blog content receive long-term traffic and popularity. This article is written by William Hills. 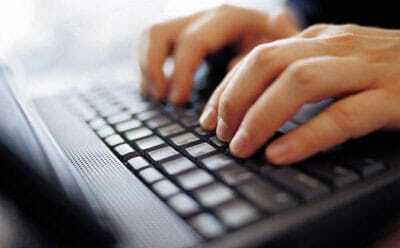 He is a professional technical writer with an experience of more than 5 years. His has written a variety of contents in past and now writing on social media, search engine marketing, IT and business consulting services and many more topics. Hi Souvik, this is a great article! Another idea of how one could repurpose and re-introduce content is to create a video based on that piece of content. As you know, the video is huge these days, so this is one powerful instrument we as marketers shouldn’t overlook. Hi Souvik, I love to use Reddit & SlideShare for generating traffic, but I am not getting on my newly developed website which is for Salesforce for Nonprofits. Could you please tell me the reason why? Reddit is a very sensitive website. So, make sure to post the relevant original links on proper subreddit. Otherwise, they will treat your links as spam and block you. Reddit is a great medium, but you have to use it cautiously.